* Prior to 1968/69, regular season competition was all dual matches. Beginning that year all competition was tournament play. 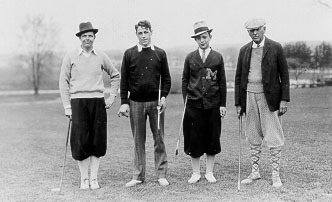 1935 Tom Trueblood Match Play Bethesda, MD. 1924 M.J. Holdsworth MP, 3-1 Briargate G.C.